How much do you charge? 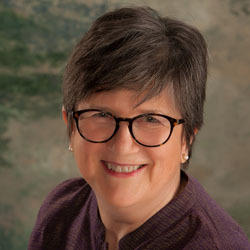 - Portland Jungian Analyst - Carol Walnum, MA, MBA, LPC. Home / How much do you charge? For people who do not use insurance or wish to pay out of pocket, the fee is $150/session for individual adult psychotherapy, payable by check or cash at the time of service. The practice does not take debit or charge cards. For individuals using BCBS, PacificSource, and Lifewise insurance in Washington State, a co-pay is paid in each session in keeping with your insurance contract with your carrier. My practice sends a claim the insurance company for you. If I am not on your insurance panel but you wish to use insurance, the customary out of pocket fee is charged. My practices completes out of network billing for individuals who wish to have their insurance billed. You are reimbursed by your insurer per your insurance contract. Billing is done via a HIPAA complaint, encrypted software system. A Senior fee is offered for individuals 65 and over. Please call to discuss. The practice cannot bill Medicare or Advantage plans. $20.00 per session for group therapy, in accordance with the average fee for counseling services. Payable in one-time payment for group sessions offered in any six to eight week group period. Telephone contact under 10 minutes will not be billed. Longer telephone sessions billed on a pro-rated fee based on he in-person rate, and fifty-minute telephone or electronic sessions are billed at the same rate as in-person sessions. Electronic/telephonic sessions should be cleared with your insurance company beforehand. Document preparation billed at $175 per hour. Court appearances billed at my per diem rate. Missed appointments or cancellations are billed at full fee unless cancelled at least 24 hours in advance of the appointment time. Insurance does not pay for missed sessions. This policy allows use of my time by another client. I have a limited number of appointments available on a sliding fee scale. We can discuss your particular needs, and I will ask for proof of income. Fees are raised or reviewed annually.